Thalia Myers has earned an international reputation as an exceptional pianist of wide-ranging musical sympathies. She has performed and broadcast as soloist and chamber musician in over thirty countries; she is dedicated equally to disseminating new works and reviving neglected older repertoire. Her repertoire and solo recordings, most recently on the Metronome, NMC and Usk labels, encompass music from the eighteenth century to the present and include six albums of contemporary works for solo piano. Her combined interests in contemporary music, music education and the promotion of amateur music-making led her to commission the first of the award-winning Spectrum anthologies of short, musically uncompromising, technically accessible piano pieces in 1995. Published in 1996 by the Associated Board of the Royal Schools of Music, this was followed by Spectrum 2 (1999), Spectrum 3 (2001), Spectrum 4 (2005) and Spectrum for Piano Duet (2012). Spectrum 5 was published in July 2016. In 2000, collaborating with the Royal College of Music Junior Department, Bath Spa University College and COMA (contemporary music-making for all) she commissioned the Chamber Music Exchange, works of similar purpose for piano trio, string quartet and wind quintet. The Chamber Music Exchange is housed in the British Music Collection at Sound and Music. Born in the West of England, Thalia Myers received her musical education at the Royal College of Music, London, where she was a pupil of Cyril Smith. She later studied with Ilona Kabos and Peter Feuchtwanger. Her widespread piano teaching experience has incorporated working with students (Royal Holloway, University of London, where she taught for many years) children (the Royal College of Music Junior Department) and professional performers. 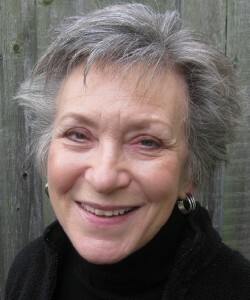 She has given master classes and lecture recitals and run projects with composition students at conservatoires and universities internationally; these have included the University of Toronto, the Royal Welsh College of Music and Drama and, in London, the Royal College of Music, Trinity Laban and the Royal Academy of Music.